Estate and gift taxes are affected by the principles of portability, and they are a part of a group of taxes known as federal transfer taxes. There are three distinct but related federal transfer taxes: estate tax, gift tax, and generation-skipping transfer (GST) tax. All of these taxes impact the amount of money passed to an individual’s beneficiaries, depending on the value of their estate. All three also interact with each other, and contain several aspects.1 While most people will never pay estate taxes, here are some things you should know about them. For individuals passing away in 2017, the estate tax is the tax applicable to any amount in the decedent‘s estate over the Federal estate tax exemption of $5.49 million per person. This is the amount a person can leave their heirs without paying federal estate taxes, and which is annually indexed for inflation. The maximum federal estate tax rate is 40 percent depending on the taxable amount of an estate. However, this is affected by the unified tax credit and the lifetime exclusion amount. The result of the unified credit is to impose tax at a 40 percent rate on all taxable estates. Looking carefully at the table above, we can create the example that if a person died in 2017, and left a $5.69 million dollar taxable estate, $200,000 would be taxable. However, the amount owed would not be simply $38,800, but would be $80,000. Since the tax law is written as a credit, it doesn’t actually reduce the size of the taxable estate, so a $6.1 million estate is still taxed at 40 percent. The unified credit only reduces the tax due on that estate to the amount over $5.49 million, not the percentage due. The exemption of $5.49 million is enough for most people, but this amount is also affected by the lifetime exclusion: you can give gifts from your estate during your lifetime, but they count against the total estate tax exemption. You need to keep track of these. However, there are ways to reduce your estate through giving without impacting your lifetime exemption. Annual exclusion gifts. An individual can give anyone up to $14,000 a year, and can give this amount to as many people as they want without it affecting their lifetime exclusion. For an individual with a taxable estate, this essentially saves the taxpayer estate $5,600 for each gift they make. Paying expenses as a gift. A taxpayer can pay for medical, dental, or tuition expenses for as many friends or relatives as they would like, as long as they pay the provider directly instead of giving the money to the individual. 529 College Savings Plans. There is a special rule, a five-year election, that lets a taxpayer put up to five years of annual exclusion gifts into a 529 plan at one time, in other words $70,000 at current rates. There would be no other gift tax unless other gifts were given to that individual in the next five year period. The $5.49 million lifetime exclusion can be mitigated by utilizing the gift tax and the options above, making it so most people never pay estate taxes. If a spouse passes away and did not meet the lifetime exclusion, the unused exemption becomes portable, and may be transferred to their spouse. The amount that can be transferred is referred to as the deceased spouse’s unused exemption or DSUE. The DUSE is calculated based on the amount of the lifetime exclusion in the year the spouse passed away, not the year it is used, and this amount is not adjusted for inflation. In other words, if a spouse passes away in 2017 and their taxable estate is worth $2.49 million, then their $3 million unused exemption becomes portable. For the DSUE to be usable by the spouse, a “complete and properly prepared” estate tax return must be filed, and portability must be checked on that tax return. 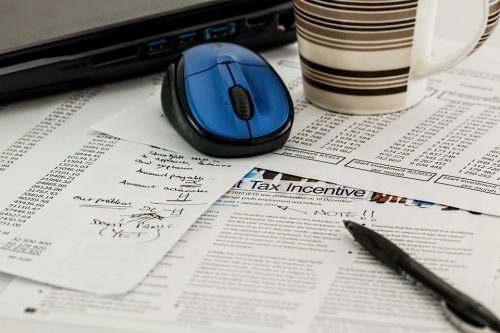 Since the value of the estate is below the exclusion amount, an estate tax return would not normally have to be filed, a short form was proposed for those taxpayers who are only filing to satisfy portability requirements, but the IRS recently rejected the idea citing the need for accuracy. The DSUE is affected by a second marriage (i.e., there is a “last deceased spouse rule”). What this essentially means is that if a taxpayer who has already received a DSUE amount from a previous spouse may lose that amount if they re-marry and their second spouse passes away. Also, if the second spouse had any DSUE amount to transfer, the surviving spouse can now only inherit that amount. Protecting DSUE amounts in these cases is challenging: the surviving spouse can use lifetime taxable gifts to use up the DSUE before the second spouse dies to ensure that amount is not lost. Or a portability agreement can be created as part of a marital agreement. Purchasing life insurance and other creative solutions should be considered as well. Another tax that might affect your estate is the generation skipping transfer tax (GSTT). This essentially means that if a person leaves money to someone not related to them who is 37 and a half years younger or who is removed by two generations or more it will be taxed at the highest federal estate tax rate, currently 40 percent. Some states charge inheritance taxes and have their own state estate tax laws. Heirs and a person’s estate will be subject to these laws along with federal regulations and taxes. There are only a handful of states where these currently apply. Iowa, Kentucky, Maryland, Nebraska, Pennsylvania, and New Jersey all have separate inheritance taxes, and a total of 15 states currently have an estate tax as well. Portability and estate tax exceptions may be tricky to navigate, and each situation should be evaluated on a case by case basis. This kind of complexity must be thoroughly understood by those involved in tax planning. A Master’s of Laws in Taxation or an LLM in Taxation from Villanova University will equip a student with the understanding of these complex laws and the skills to navigate them successfully in the real world.